The 16GB Cruzer Blade™ USB Flash Drive may look small, but it has all the space you need to store and share tunes, pictures, home videos– or your presentations and spreadsheets – whenever you want. Despite storing 16GB in a compact and contoured design, the Cruzer Blade USB Flash Drive is barely half the size of most USB Flash Drives. It makes sure that your private files stay protected, with the password protection and encryption offered SanDisk SecureAccess™ software. 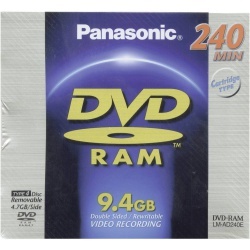 DVD-RAM with 9.4 GB (two-sided) storage capacity for a game length of 240 minutes (up to 16 hours in EP mode). High speed with 3x burning speed (transfer rate of 33.24 Mbps in write and read mode). In cartridge (removable). Up to 100,000x rewritable, formatted. SD Cards are the industry standard for today's removable flash media-based products like digital still cameras, camcorders with still photo modes, digital music players, mobile phones, personal organisers, DVD recorders, home theatre components, and more. High mega pixel digital still cameras and video recording modes require faster recording times for your media. This Panasonic 256MB SD card records up to 10MB/s, faster than the majority of standard SD cards available. 3: durable easy write top layer for writing on. This monster 52x Speed CD-R Blank CDs by Laser lets you back up files or music, create audio CDs and much more! Give yourself peace of mind with the 52x Speed CD-R Blank CDs - each disk allows up to 80 minutes of audio recordings or 700MB of data storage. 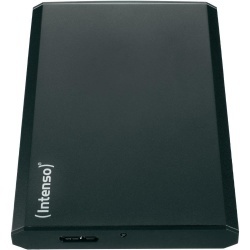 Up to 265 photos can also be stored on each disc, making this perfect for anyone that wants to save hard drive space. 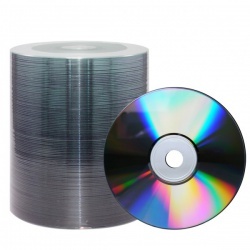 With a maximum speed of 52x, this spindle pack of 52x Speed CD-R Blank CDs is the perfect addition to any home or office. 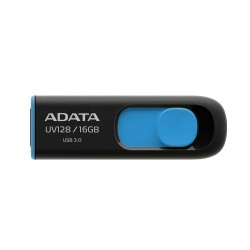 ADATA UV128 is a USB 3.0 capless flash drive with retractable USB connector and superior 90/40MB/s read/write performance. Full USB 2.0 backward compatibility ensures seamless data sharing among various devices supporting both standards without unwanted loss of data. Read/write performance can be multiple times faster than traditional USB 2.0-only flash drives. Delicate USB connector can retract into sturdy compact body when not in use to prevent accidental damage and eliminate easily-misplaced cap. Textured surface is scratch and dirt-resistant to reduce wear-and-tear and extend service life. ADATA UV128 supports multiple OS platforms including Windows XP, Vista, 7, 8, 10, Mac OS 9.X or later and Linux 2.4 or higher with no additional device drivers required. Turn your PSP™ (PlayStation® Portable) into a fully-loaded multimedia entertainment device. With SanDisk's Memory Stick PRO Duo, maximise your game performance by downloading and storing the hottest game saves, music and videos. 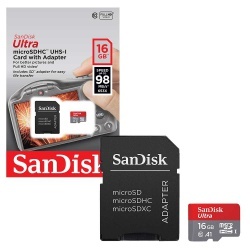 SanDisk Ultra microSDXC and microSDHC cards are fast for better pictures, app performance, and Full HD video. Ideal for Android smartphones and tables, these A1-rated cards load apps faster for a better smartphone experience. You have the capacity to take more pictures and Full HD video and capture life at its fullest. Built to perform in harsh conditions, SanDisk Ultra microSD cards are waterproof, temperature proof, shockproof, and X-ray proof. With 32 GB of memory, you'll have plenty of space to transport everything you need on a memory stick compact enough to fit in your pocket for ultimate portability. 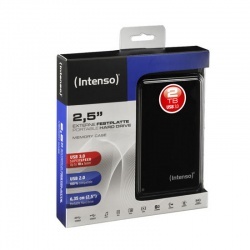 It's perfect for taking your files to work, school or university. 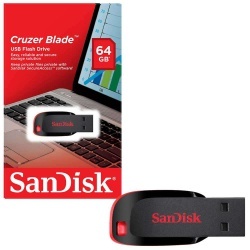 With Sandisk SecureAccess, you can rest assured that if your Cruzer Blade gets stolen or lost, your files are completely protected by password encryption. 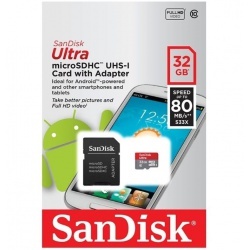 Shoot and save more high-quality photos and Full HD video on your Android smartphone or tablet with SanDisk Ultra microSD UHS-I Cards. They're the ideal complement for Android smartphones and tablets and the SanDisk Memory Zone app, available on the Google Play™ store, makes it easy to view, access, and back up all of your files from your phone’s memory in one convenient place. To help your smartphone run at its peak performance, this app can be set to automatically off-load files from your smartphone’s internal memory to your memory card. This memory card features Class 10 video rating for high-quality video recording, so you can capture Full HD2 without dropouts and stuttering. Designed by SanDisk, a leader in flash memory innovation, the Cruzer Blade USB Flash Drive packs generous capacity into a compact form. The SanDisk Ultra microSDXC UHS-I Card lets you shoot and save more high-quality photos and Full HD videos on your Android smartphone or tablet. 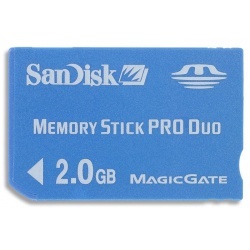 From a world leader in flash memory storage, this card features a Class 10 speed rating for capturing Full HD video and read speeds of up to 80MB/s for ultra-fast file transfer. With read speeds of up to 80MB/s, the SanDisk Ultra microSDXC UHS-I Card lets you transfer high-resolution photos and Full HD videos to your computer without a long wait. Available from the Google Play store, the SanDisk Memory Zone app lets you view, access, and back up all the files from your phone's memory in one location. It can also automatically move files from your device to your card to free up space. SanDisk Ultra microSDXC UHS-I Cards are shockproof, temperature-proof, waterproof, and X-ray-proof, so you can enjoy your adventures without worrying about the durability of your memory card. 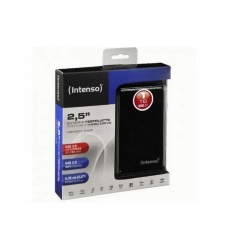 The Intenso Memory Station UBS 3.0 Portable Hard Drive is the fast way to back up important documents, videos, photos and music, or transfer data between home and office. The USB 3.0 connection gives transfer rates up to 85MB/s - 10x faster than USB 2.0 - while remaining back compatible with older USB 2.0 connections. This compact 500GB drive weighs just 168g, with an LED that illuminates in use. Windows XP/Vista/Windows 7, Mac OS 10.x.